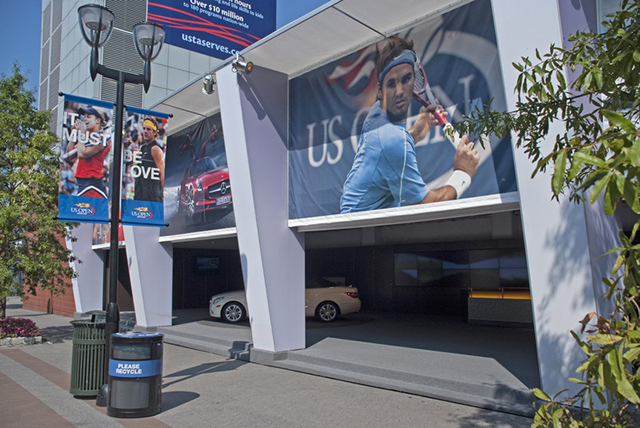 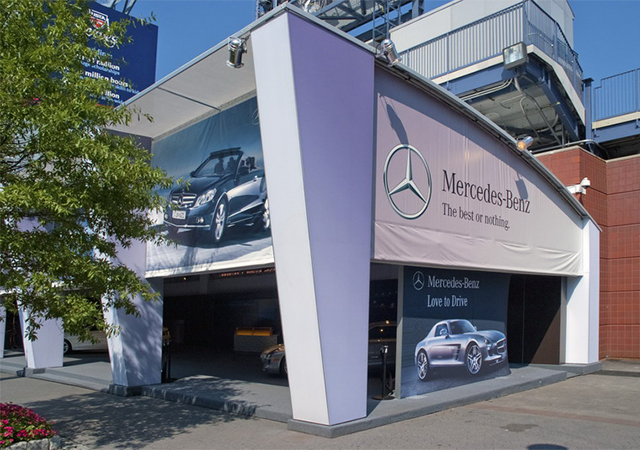 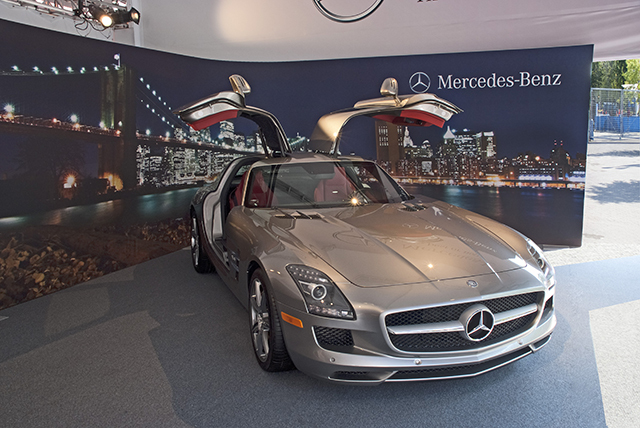 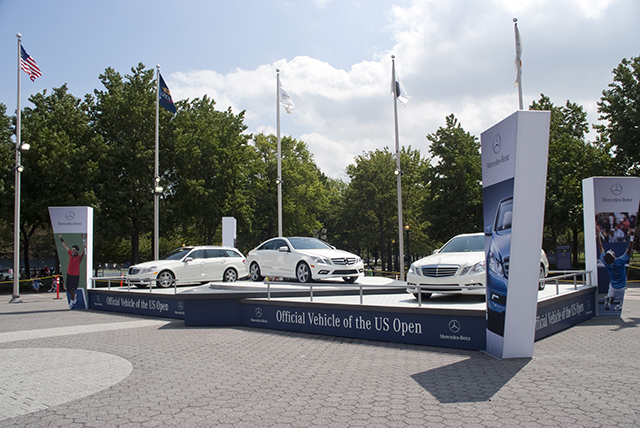 As the official sponsor of the U.S. Open in Flushing Meadows Park in 2010, Mercedes Benz needed a brand center to showcase their latest models and provide meeting space. 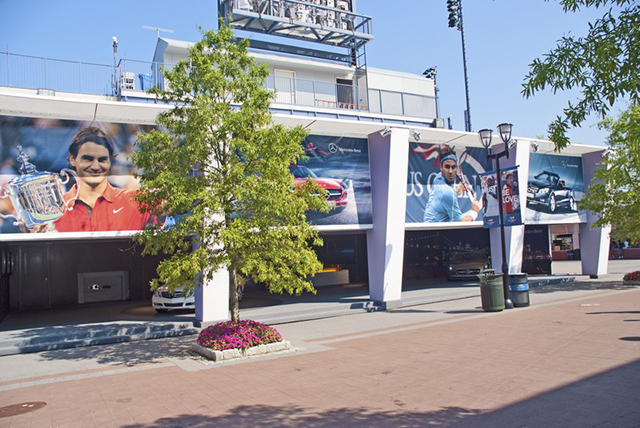 This semi-permanent pavilion offered an impressive showroom with super graphics on the interior and exterior of the building. 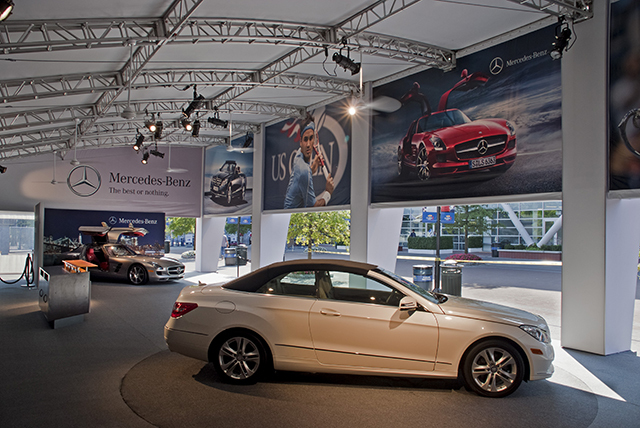 An outdoor staging displayed the newest models revolving on turntables and heralded by flagpoles. 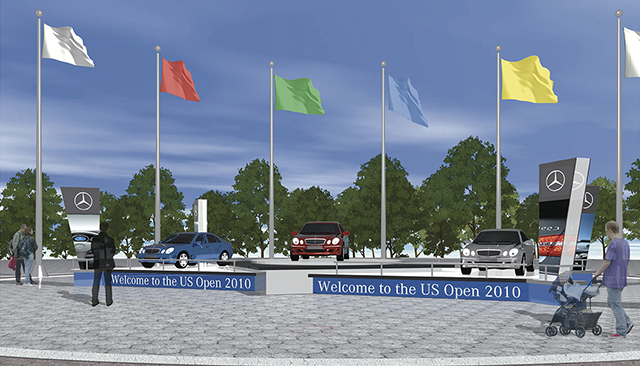 Produced by Dimensional Communications, Inc.